Your door is always open, regardless of your business or support hours. Today’s customers ask questions at any time of the day or night and will wait for you to respond (but not for long). How customers do this varies — sometimes the customer is standing in line somewhere, browsing their mobile phone. At other times, the customer is in front of their computer while at work, focused on 3 other tasks. Every now and again, the customer’s issue is urgent, and they need to reach you right away. 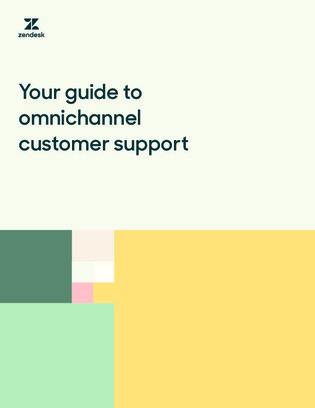 In this white paper, find out why an omnichannel strategy and support solution allows you to do more than just meet your customers' expectations, but exceed them by personalizing each interaction.